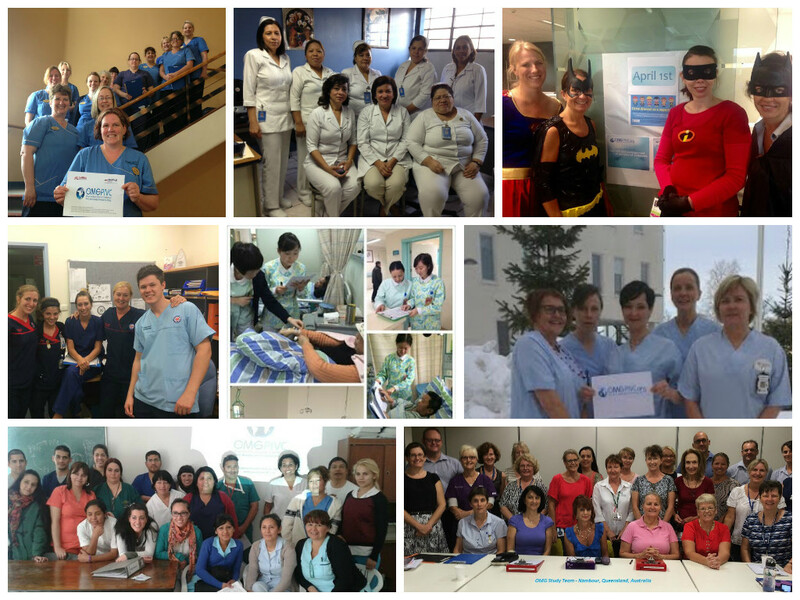 Our global prevalence study of peripheral intravenous catheters is in the data entry phase. Over 800 hospitals received codes and 49 countries have submitted data by June 2015. We have received many pictures, too. It's nice to see the faces behind the research. Feedback from participating hospitals has been terrific, with many sites reporting that the study had really raised awareness among staff about the importance of best practice. We are looking forward to sharing the preliminary results at the AVA Platinum Showcase sponsored by BD and the final results at WoCoVA June 2016, in Portugal. Thank you to everyone who has worked so tirelessly to make this project a success! 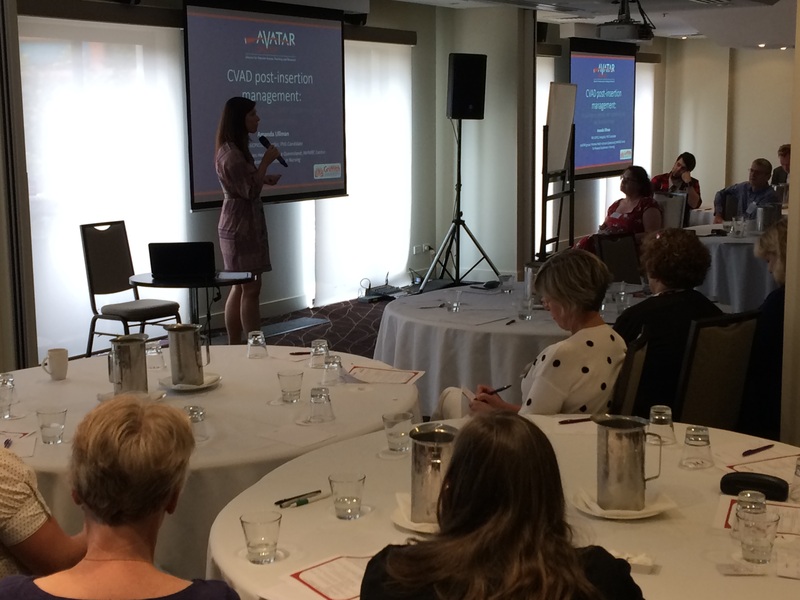 The Society held its first annual general meeting (AGM) in Sydney CBD on 21 March 2015, along with an afternoon symposium consisting of presentations of exciting vascular access research and practice in Australia. The afternoon symposium comprised of six quality presentations on education and practice initiatives and current research 'Updates in Vascular Access'. Monica Schoch from Deakin University outlined a comprehensive Vascular Access E-Learning Module while Kelly Talifero and Tim Spencer presented successful practice initiatives related to referral for PICC insertion and then trouble-shooting malpositioned PICCs respectively. Current research updates related to PIVCs were presented by Samantha Keogh and Evan Alexandrou on behalf on the AVATAR group with Amanda Ullman rounding out the talks with a presentation on CVAD securement. Active commentary and discussion on the topics demonstrated the collective passion and motivation by attendees for optimising this vital aspect of modern healthcare. 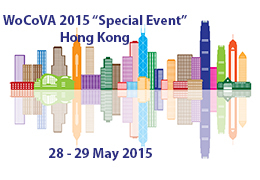 This year WoCoVA organized a special event congress in Hong Kong 28-29 May, 2015. 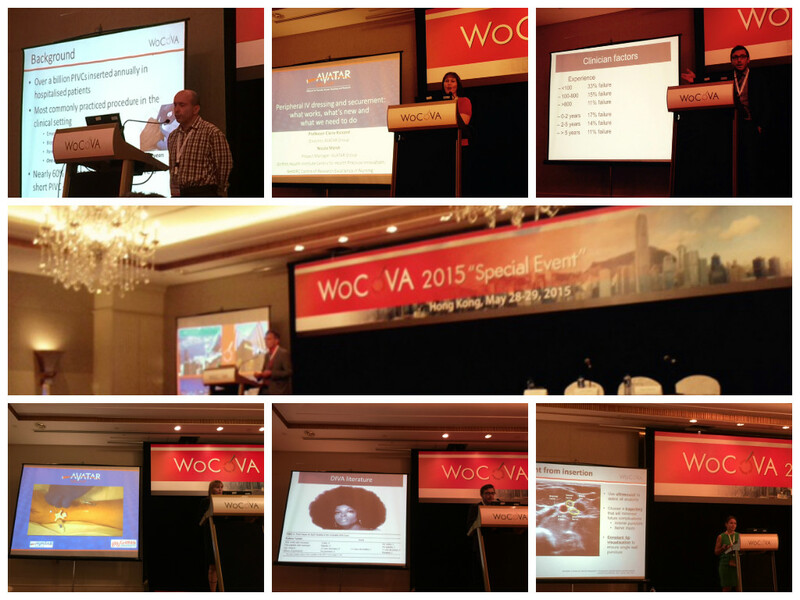 The highlights from the 3rd WoCoVA were repeated adding a major contribution from Asian experts on vascular access. This new initiative from WoCoVA was intended to bring more experts and researchers together from all parts of the world. With a large population and big health care centers, vascular access in Asia is getting more and more attention. This special event was a perfect opportunity to meet colleagues and share knowledge and initiatives. Researchers of the AVATAR Group attended and represented themselves with numerous presentations (see below). Gillian Ray-Barruel. Invited Speaker "Recent research in peripheral vascular access", Manchester 11 June 2015. Gillian Ray-Barruel. Invited Speaker "Vascular access: A global and UK perspective", Bristol 9 June 2015. Perioperative Nurses Association of Qld. Heather Reynolds, 'The Changing Tides of Evidence for Dressing and Securement of Perioperative Arterial Catheters: Navigating the Currents of Change Together Towards Tomorrow'. Alexandrou E, Ray-Barruel G, Carr P, Frost S, Inwood S, Higgins N, Lin F, Mermel L, Rickard CM. A global prevalence study on the use of peripheral intravenous catheters: results of a pilot study in 13 countries. Journal of Hospital Medicine. On-line June 5. Higgins N, Keogh S, Rickard CM. Evaluation of a pilot educational program on safe and effective insertion and management of peripheral intravenous catheters. Journal of the Association of Vascular Access. 2015, 20(1): 37-42. Kleidon T, Illing A, Fogarty G, Edwards R, Tomlinson J, Ullman A. Improving the central venous access devices maintenance process to reduce associated infections in paediatrics: evaluation of a practical multi-faceted quality-improvement initiative. Healthcare Infection. Marsh NM, Webster J, Chan R, Mihala G, Rickard CM. Devices and dressings to secure peripheral venous catheters to prevent complications. (Review). Cochrane Database of Systematic Reviews. In press 2015, Issue 4. Ray-Barruel G, Rickard CM. 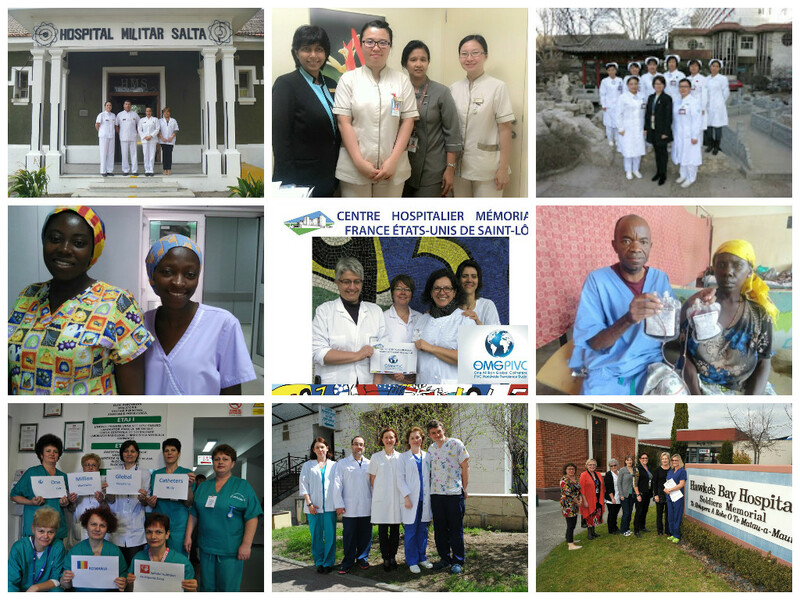 Global is local: bringing IV research back to the bedside. British Journal of Nursing 2015; 24: Supp8:S3 (Editorial). Reynolds H, Taraporewella K, Tower M, Rickard CM. Assessment of Dressing and Securement Techniques for Peripheral Arterial Catheters: A Narrative Review. Vascular Access. 2015; 1(1).March 5th. Ullman A, Kleidon T, Rickard CM. The role of the Vascular Access Nurse Practitioner in developing evidence, promoting evidence-based vascular access practice and improving health services. Vascular Access. 2015; 1(1).March 5th. Ullman AJ, Cooke M, Rickard CM: Examining the role of securement and dressing products to prevent central venous access device failure: a narrative review. Journal for the Association of Vascular Access on line May 2015. Webster J, McGrail M, Marsh N, Wallis M, Ray-Barruel G, Rickard CM. Post infusion phlebitis: Incidence and risk factors. Nursing Research and Practice. 2015. doi:10.1155/2015/691934.